Failed to initialize the PowerShell host. If your PowerShell execution policy setting is set to AllSigned, open the Package Manager Console to initialize the host first. 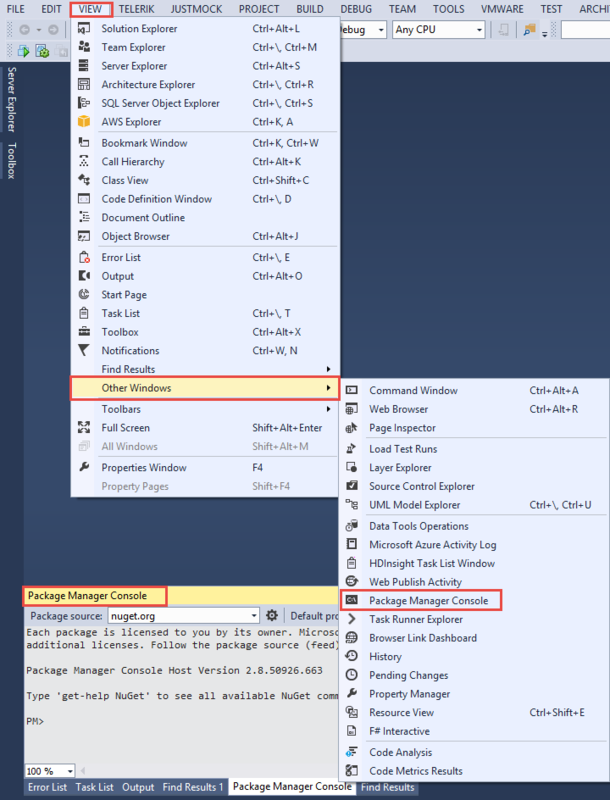 To resolve this issue quickest way is to open the Package Manager Console window in visual studio, which will initialize the powershell execution context for NuGet packages to use. Type Yes to confirm - change in execution policy. 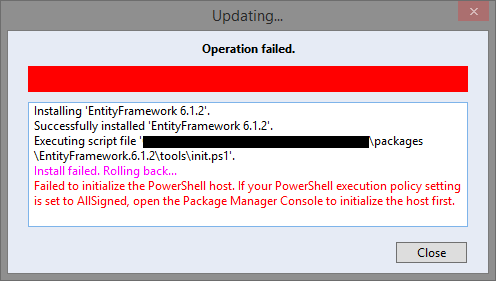 Open up the visual studio project again and keep the Package Manager Console open, then try to install / update the NuGet package again. This time it would install / update the package successfully.